About Us - Vertex, Inc.
to learn more about Vertex, Inc.
Vertex, Incorporated is part of a strategic partnership formed in 1992 between A-LOK Products, Inc. and Salvatore Brugnano. Vertex embarked on a path to be a premier manufacturer of designed elastomeric seals and custom rubber extrusions for our customers in a variety of select industries. Vertex’s Quality Policy is “to enhance customer satisfaction, through continuous improvement, unsurpassed individual performance, operational excellence and on time delivery of quality products and services”. Vertex was registered as an ISO 9001:2000 w/design company in 2006. Our current registration is valid until June, 2018 as an ISO 9001:2015 w/design company. Vertex has invested substantially in technology and developing processes to best serve our current and future customers. Utilizing Alpha Technologies PPA and T2000 testing equipment, our new Quality Testing Lab verifies raw material and finished product compliance with applicable specifications. Laser controlled extrusion systems insure repeatability and profile integrity. We utilize compression, injection and film splicing for optimum gasket performance. 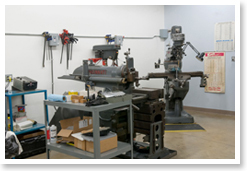 Vertex is fully capable of providing turnkey production of custom extrusions and elastomeric gaskets in all aspects. This includes engineering and design, tool and die fabrication, as well as any required custom jigs or fixtures for secondary finishing. Neoprene, EPDM, Polyisoprene, SBR, Nitrile in dense or sponge compounds are processed into finished extruded products. 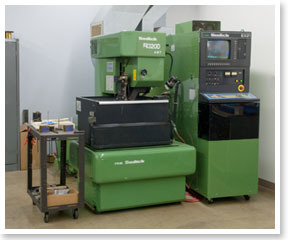 Vertex, Inc. is strategically located in Mogadore, Ohio, a suburb of Akron. Near the Technology Center for elastomeric research and development, we have access to the finest resources available for our industry. Occupying 2 modern facilities totaling 68,000 square feet of production, warehousing, R&D and office space, we stand ready to provide solutions to your specific needs.